Camera bags come in many carry styles including backpacks, sling bags, shoulder bags, holster bags, and rolling cases, to name just a few. The style that most people think of when they hear "camera bag" is the traditional camera shoulder bag also referred to as a messenger bag. These camera bags feature toploading openings for easy access to their camera and gear and are generally carried over the shoulder or hand strap. 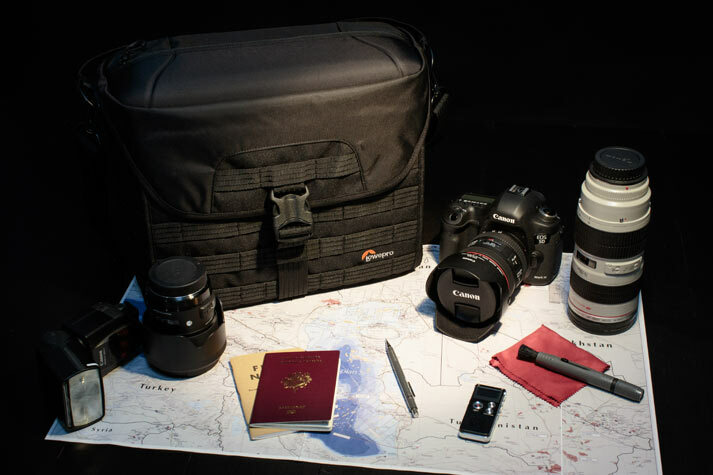 Lowepro camera bags are built in a large range of sizes making them ideal for fitting a photographer's exact requirements. 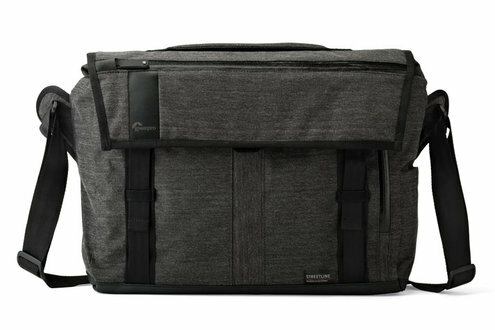 Camera messenger bags range in sizes to fit a small mirrorless kit up to a full pro kit for location shoots. To find your ideal camera shoulder bag ask yourself, "How much gear will I need to carry to enjoy and succeed in my photography?" If you need lightweight protection for single camera and lens such as the Mirrorless Sony a6300, the Adventura Series might be perfect for the outdoors while the m-Trekker mirrorless camera bag may have the styling you desire for the city. Photographers who need to carry a bit more gear, such as a compact DSLR kit, but want to keep a small footprint will find the sizes in the best-selling Nova II Series ideal. For larger camera kit, where you are carrying a DSLR such as Canon 5d MkIV or pro mirrorless camera such as Sony a7r ii, additional lenses, a flash and perhaps some new technology such as a hand gimbal camera, choose a bag with a bit more capacity such as the ProTactic Shoulder bags. If you need maximum capacity for storing and organizing pro gear such as the Nikon D5 or Canon 1DX Mk II with a large range of lens sizes, lighting, mics, hard drives and accessories will appreciate the carrying capacity of the Magnum 650 AW. Do you need additional protection from the elements or to stay discreet & stylish for shooting in the city? Whether you are heading to the great outdoors, going on vacation or just taking a photo-walk around the city, there are purpose-built camera bags to make sure your gear is safe and help you get that magical shot. Photographers in the city want a discreet and versatile bag that fits their aesthetic yet still provides protection from weather and impact. The StreetLine or Scout camera bags utilize modern textiles with a water resistant coating and collapsible compartments for device protection. 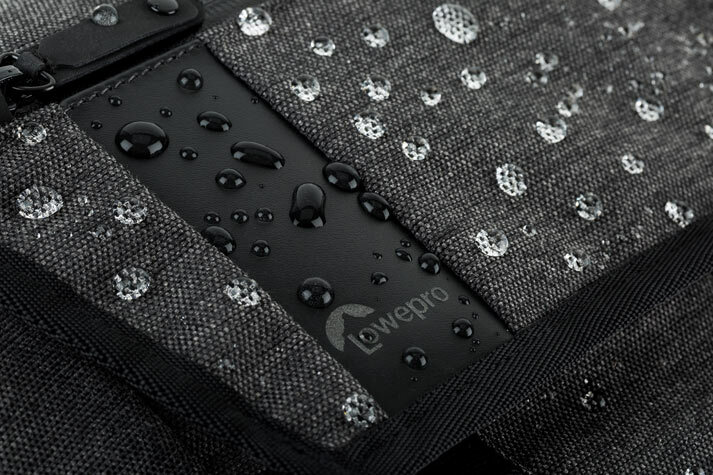 For outdoor and general use, bags such as the Nova or ProTactic shoulder bags includes features such as an built-in All Weather Cover™ and overlapping lids that deliver excellent protection from the elements. Carrying a laptop or tablet in your camera messenger bag? Having a camera shoulder bag that not only protects a camera but a laptop or tablet as well is a requirement for the traveling photographer. Shoulder bags with CradleFit™ technology protect your device from impact damage by suspending it within the bag. If you need to carry a laptop or 2-in-1 shoulder bags such as the Streetline SH 180 or ProTactic SH 200 have CradleFit™ compartments sized to protect these devices. If carrying a tablet is part of your workflow, try the StreetLine SH 120 or ProTactic SH 180. Make sure your camera shoulder bag is carry on compatible and travel worry free. When traveling by plane avoid checking in your camera equipment which can lead to damage and loss. Make sure you can bring the gear you need and still being able to stow it in the overhead compartment. Airline carry-on requirements differ by country and airline, but typical domestic carry-on requirements cannot exceed 45 inches or 114.3 centimeters (length + width + height). A camera bag that is high-capacity and yet fits in the overhead compartment is the Magnum 400 AW. You can also check here for a complete listing of carry-on compatible shoulder bags. Another highly valued, travel-ready feature to look for in a shoulder bag is a trolley sleeve for attachment to a roller so you don't have to carry your bag through the concourse. Both ProTactic and Nova have built in trolley sleeves.